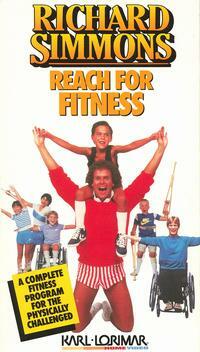 that girl in the wheelchair: get in shape, girl! "also, i own all the sweatin' to the oldies, ON DVD. and i paid full price. because i LOVE THEM. it also came with a fake talk show about self esteem. have you seen richard's reach for fitness video? it's for the handicapable. crystal and I tried to do it once and it was TOO HARD. it was embarrassing." happy crippled folk- for the win! This single comment led me on a 30 minute internet quest to find some footage from this video...because I felt it would be ridiculous and something I needed in my life. [Tangent: I am not saying the handicappeds don't need fitness, because lord knows I am outta shape as hell and have heaps of atrophied cuddly muscle to prove it...but for some reason I just knew that there was gonna be overly PC or be completely inspirational and Wind Beneath My Wings vibe about it (and yes I secretly hope that link is gonna up my readership among enthusiasts of "Avant Garde Catsuits") After youtubing every single search term that I could fathom, I still came up short of a short shorted flamboyant gay prancing around with sassy wheelchair folks. He's gay?!??!? I know you are shocked! shut up! how did you find these?!?!?! 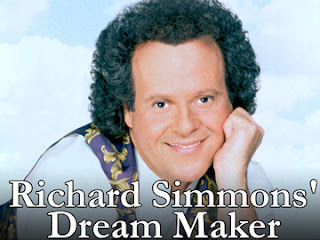 Richard Simmons. Gay. Who saw THAT coming? !